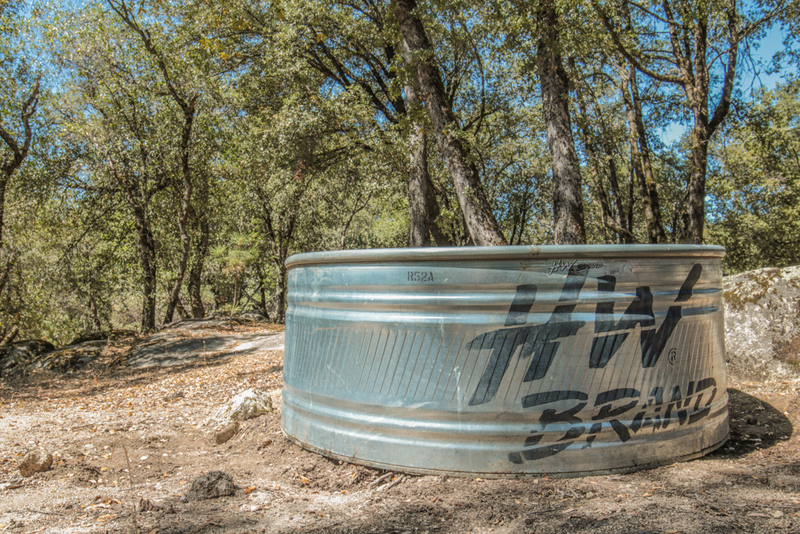 Get your stock tank pool working at max capacity with our stock tank pool accessories! Keep debris out of your hot tub and heat in with a vinyl insulating cover. These essential tools are made to order using a template made just for your stock tank swimming pool, based on your pool’s measurements and specifications. It’s more expensive than just throwing a tarp over it, but it works so well that you’ll wonder how you lived without it for so long. Even if you’re using a cover to keep leaves and debris out of your stock tank pool, you still need to filter the water. You get dirt and oil in the water every time you get into it. Eventually your pool water is going to get completely disgusting unless you keep it filtered. Or you could drain it and refill it every day, but that is going to make your water bill go through the roof and it is pretty ecologically irresponsible too. This self-contained filter unit clears the water in a few hours, which is a must if you are leaving the water in the pool for more than a couple of days. The filter cartridges in the self-contained filter unit are washable. That does not mean you do not need some replacement filter cartridges. What are you going to do while you wash your filter cartridge? What happens if the filter cartridge gets really gross and it takes a long time to clean it out? It is a great idea to have a filter cartridge to use, one to wash, and one on standby just in case there’s an emergency. To clean your filter cartridges, rinse them off with a garden hose to get as much gunk off as possible before putting them in the dishwasher. If the dishwasher won’t get the dirt off, you can soak the filter cartridges in a cleaning solution. This is a powerful, safe cleaning solution that is designed to dissolve oils, organic matter, and anything else that gets stuck in the filter cartridge. To clean your filter while using the least amount of cleaner, submerge it in a plastic juice container. If you are using a wood burning stove to heat your stock tank tub, you need this stainless steel stovepipe. Made from 304 grade stainless steel, it resists damage from temperature extremes and from the weather. The ideal length of stove pipe to use is 8 feet. This produces optimal draw for the wood stove for the most efficient heating. If you use a stove pipe of less than 8 feet, it will cause the fire to burn cooler than usual because it will not have enough draw to pull the air through. If you use a stove pipe of longer than 8 feet, the fire will burn very hot and your water will get very warm, but the fuel may burn too quickly and the overall system will be inefficient. If you have a stove pipe that is longer than 8 feet and you need it to draw slower, you can add a stovepipe cap to the end to counteract the effect of the long stovepipe. The stainless steel chimney cap reduces the danger of fire by preventing sparks from escaping through the chimney and hitting something flammable. However, it should also be noted that the secondary combustion system is itself extremely efficient at preventing sparks from going up the chimney in the first place. Placing a chimney cap on your stove pipe slows down the air draw through the stove, so there needs to be an extra length of stove pipe to make up for the reduction in draw. At least 10 feet of stove pipe is recommended if you are going to put on a stainless steel chimney cap. If you put a chimney cap on, the stove pipe will need to be supported to ensure that it remains stable. Bugs happen. So do leaves. And random bits of dirt that make it into the water from your feet, no matter how careful you are. This handy little mesh leaf skimmer will help you keep your pool clean and bug free every time you want to use it. If you are using a wood burning stove to heat your tub, you are making use of thermosyphon heating. That means you are going to have a layer of very hot water on the top, and a layer of very cold water on the bottom. This is not particularly pleasant to step into. The solution is simple, though: Just stir it! This wooden paddle will have your stock tank tub feeling warm and ready for soaking in no time. No electricity or pumps needed! Gone are the days of dipping your toe in and jumping back scalded, or stepping into the pool expecting a nice steamy experience and being nonplussed by a lukewarm tub. This metal stem thermometer gives you a convenient and easy way to check the temperature of the pool before you get in. And unlike old fashioned mercury bulb thermometers, you don’t need to worry about it breaking, either.